Flipkart PayDay Sale Live Now : Get 10% Instant Discount On Prepaid Orders. Upgrade your electonics. Continuing their extensive marketing offers. 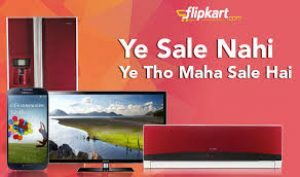 Flipkart is now back again with payday sale.For all those who have heard this for first time.Let me explain. This is very much like other sales but unlike is not applicable on all categories. Also the bank offers are different. You can shop through this sale to upgrade your electronic appliances without digging a hole in your pocket. NOTE : Pay online to avail extra 10% instant discount.